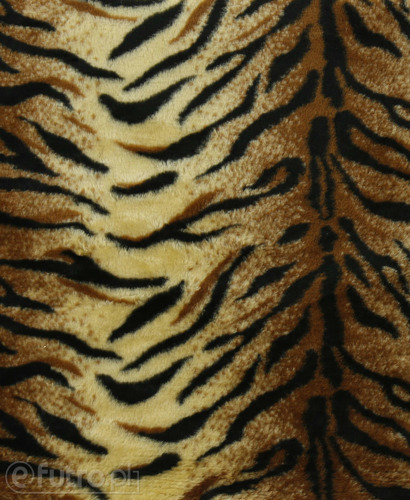 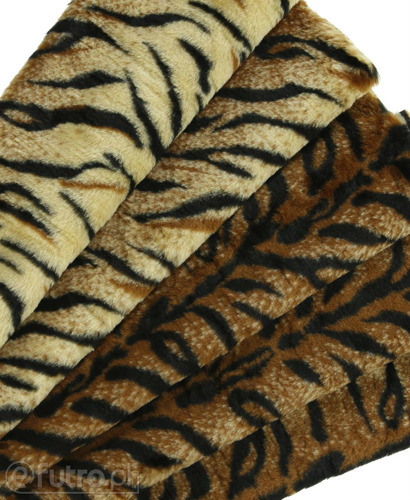 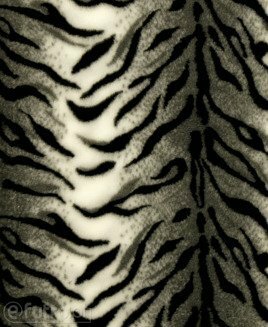 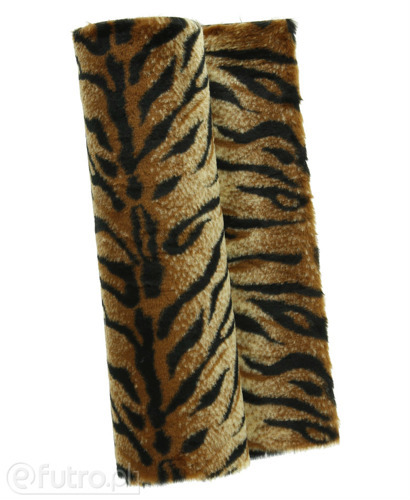 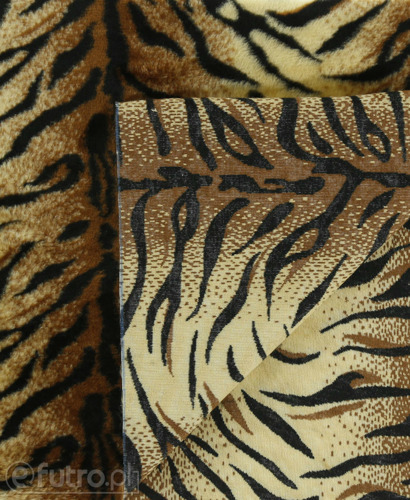 TIGER is a soft and thick fur material with a pattern imitating natural tiger fur. 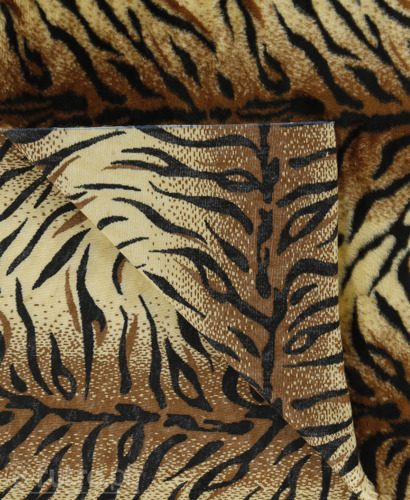 Aggressive variations of shades of brown and grey are a great base for creating bold, feminine looks. The knit is easy to work with, flexible and simultaneously resistent which makes all the threads precise and extremely attractive.